In this episode of Avengers Now!, Antony and Paul discuss the news from the 2013 New York Comic Con and the latest Avengers books. Avengers Now! 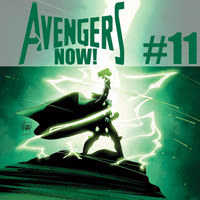 - Young Avengers #10, Uncanny Avengers #12, Mighty Avengers #2, Avengers #20, Infinity #4, Avengers #21, and New Avengers #11.